JennKenn has worked on hundreds of creative projects for clients from varying industries. She is recognized for clean, informative designs that emphasize purpose and functionality. From logo design, mobile-ready websites to social media and email marketing – JennKenn is dedicated to delivering effective solutions that meet your business objectives. Delivers eye-catching brochures, flyers, PowerPoint presentations, program books, information graphics, product and rack sheets, and more. Copyrighting services are provided too! Builds engaging, mobile-friendly websites that are easy to navigate, optmized and aimed at improving the audience's experience. Creates new, eye-catching logos and brand identities, and revamps old and tired brands too! Generates Search Engine Optimization (SEO) content to fully optimize your content and website to improve search rankings. Initial setup and monthly services are available. Effectively sets up a new social media presence, or maintains exsiting accounts. JennKenn provides monthly maintenance with creative content to keep your community engaged. 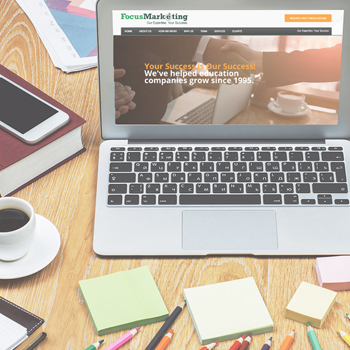 From email marketing, Facebook ads, direct mail to tradeshow material, JennKenn can deliver the digital and print marketing solutions to addresses your marketing goals. JennKenn believes in a structured and transferable methodology. Each project is evaluated keeping the target audience and client's objectives in mind. A careful design approach is applied to ensure consistency and smooth transitions from the initial design to the completion of each project.